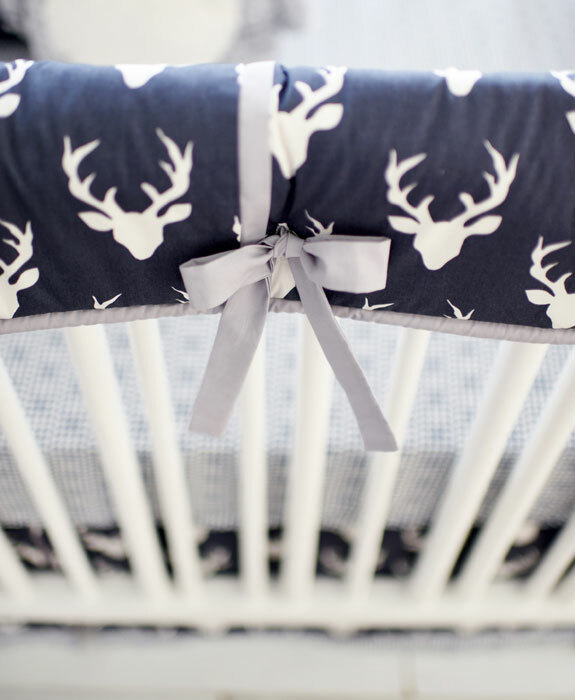 This fun gray and navy deer crib bedding is sure to bring a rustic feel to your nursery! 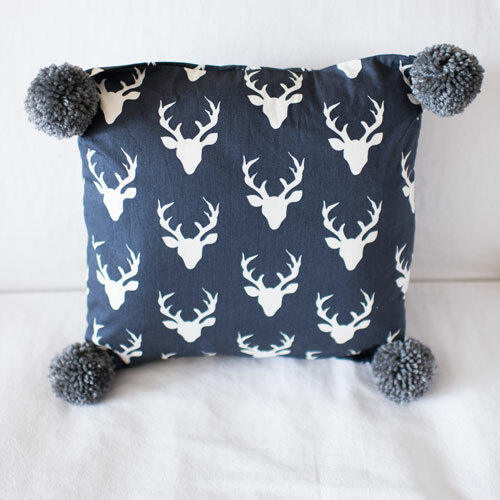 Our Buck Forest in Navy Crib Rail Cover Collection features an adorable navy deer head pattern with accents in gray. 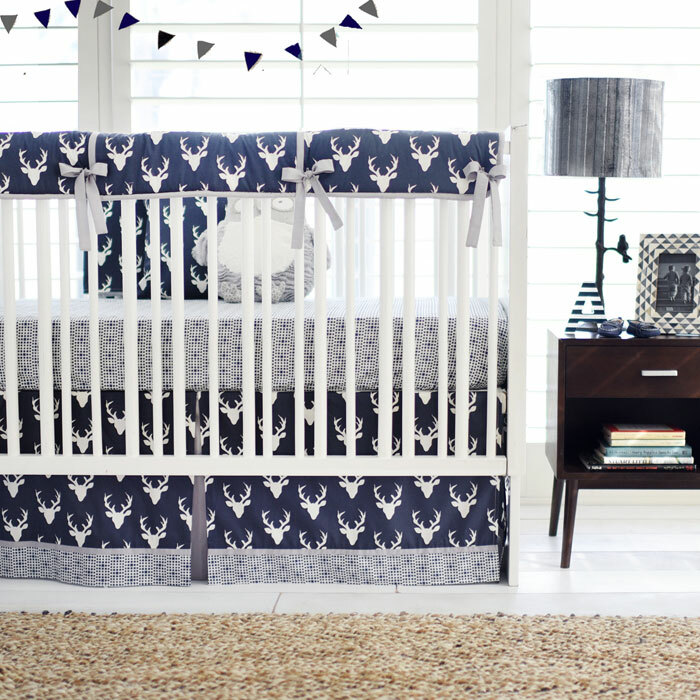 Tailored crib skirt is accented with a pleat and fabric bands. 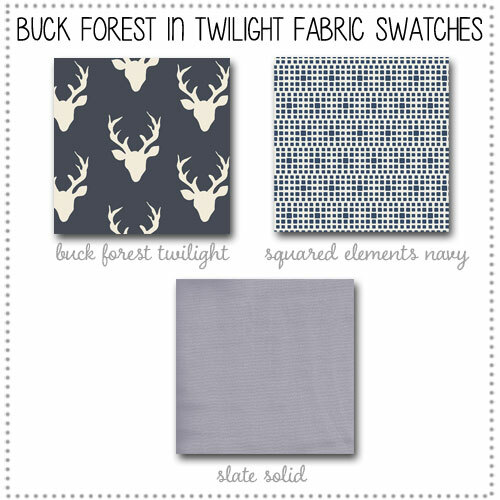 Checkered navy crib sheet is 100% cotton and machine washable. 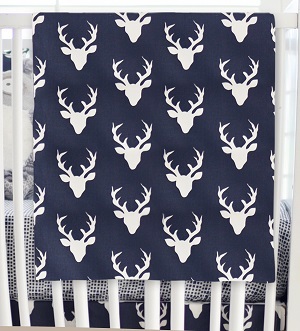 A perfect navy and gray crib bedding set for a woodland nursery. 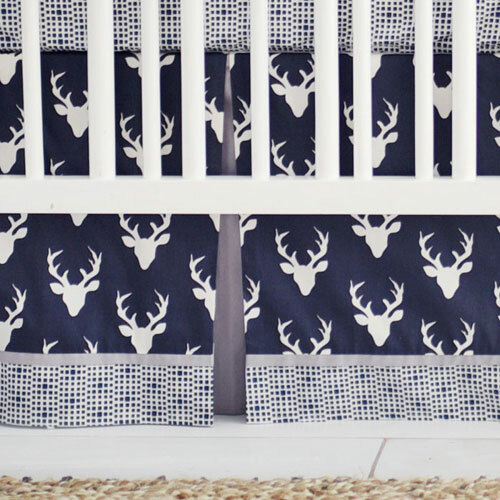 Have fun decorating your nursery with rustic accents. 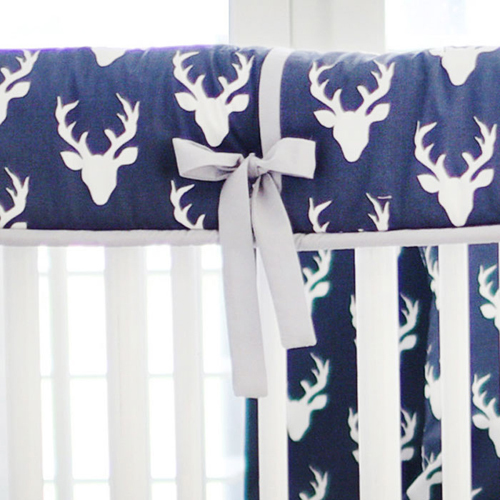 Our Crib Rail Covers are a great option for bumperless designed deer baby bedding, and will keep your baby from chewing on the crib. 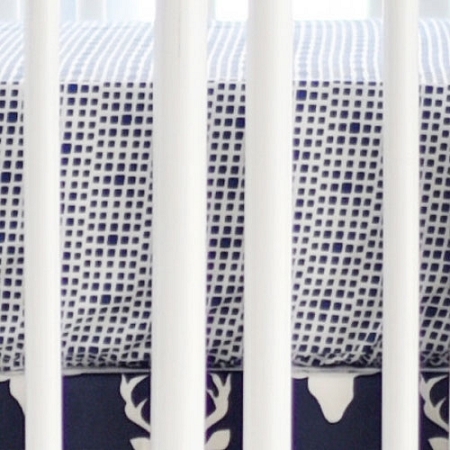 • Navy Crib Rail Cover Dimensions: 51” long by 11” deep. 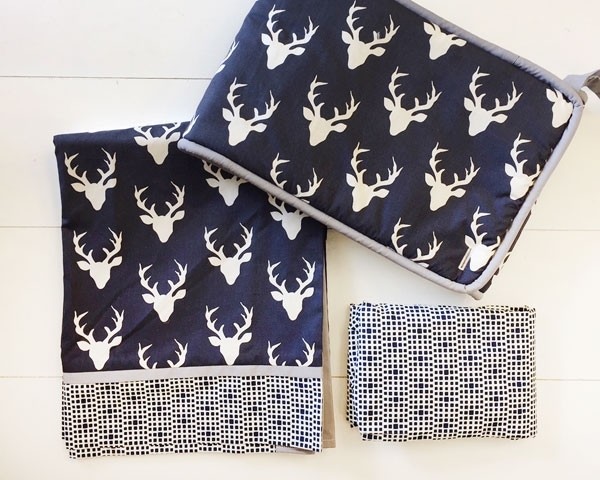 • Deer Crib Blanket is 36" by 36" and backed with soft flannel fabric. 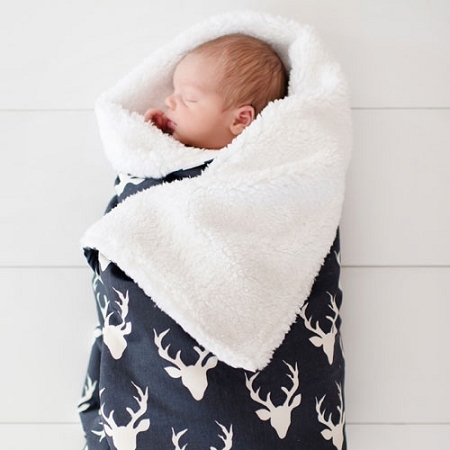 If you are looking for deer baby bedding, check out our other bedding collections featuring this adorable deer print: Buck Forest in Night Baby Bedding and Buck Forest in Mist Baby Bedding. 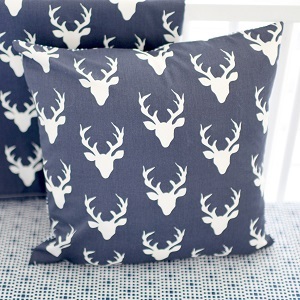 Bought this & a few other items for the nursery of our first baby boy! Easy to buy online, shipped to my house within a reasonable time & turned out perfect! Loved this crib set. Very nicely made, very quick shipping ?? Q: I am just looking for a crib skirt. Would this be available to order just the skirt? If so, what would the price be? Thank you. 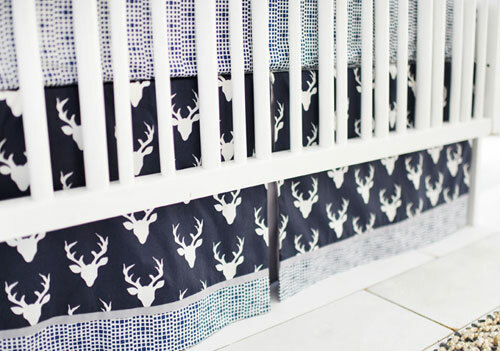 Q: What would the price be for the crib rail cover, skirt & the changing pad cover & if I do order the 3 of these together, can I still get the 20% discount now being offered? Yes, you can get the current 20% off discount on your order! Please let us know if you have any other questions. Q: Can i just order the rail cover and the bed skirt?